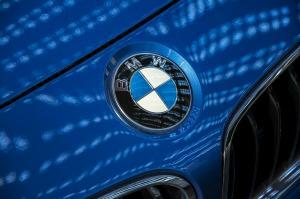 The top three positions in a large-scale survey into vehicle reliability have been taken by German brands BMW, Volkswagen and Audi, reports AM Online. The survey involving 650,000 cars was carried out by Fleet News. It involved asking contract hire companies to rate the best-performing models in their fleet, based on warranty claims and breakdowns. And it was the BMW 3 Series which came out on top again. If your business is thinking of adding more vehicles to your showroom, make sure your insurance covers the additional stock. As well as your general motor trade insurance, you may also want to consider upgrading to a comprehensive motor insurance policy, which protects the facilities as well as the contents of your site. From one to 10, the most reliable cars according to the survey were: BMW 3 Series, Volkswagen Golf, Audi A4, Honda Civic, Audi A3, Volkswagen Passat, BMW 5 Series, Mercedes-Benz C-Class, BMW 1 Series and Toyota Auris. Both the Volkswagen Golf and Audi A4 remained in the second and third positions from the last year. However, in the fourth spot the Honda Civic has replaced the Audi A3, which dropped to fifth. Richard Hudson, the sales director at BMW Group, said: “BMW is renowned for producing award-winning cars, but when the sample size is a car park of 650,000 vehicles, and we come out on top it is especially satisfying.